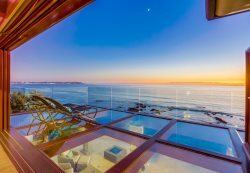 Never more than a short drive from the Pacific Ocean, San Diego, La Jolla, Mission Beach and Pacific Beach feature a seemingly endless amount of water sports and activities. Enjoy swimming, snorkeling, scuba diving, surfing, bodyboarding, kitesurfing, windsurfing, stand-up paddleboarding, boating, sailing, kayaking, Jet Skiing, water jetpacking, flyboarding and fishing. Don’t be afraid to try something new during your trip, and rent beach and water sports gear for fun in the Southern California sun for all ages. Let’s go surfing! San Diego Surf School introduces beginners to the spirit of surfing in an energetic and positive environment. Skilled, friendly instructors offer surf lessons, advanced instruction, surf camps and stand-up paddleboard lessons. Discover how surfing is not just a sport, but a remedy for life – it relieves stress and helps you forget about your worries while connecting you with nature and the ocean. Mention Bluewater for a 10% discount. Situated next to Mission Beach, Mission Bay Park is a water sports paradise and the largest artificial aquatic park in the country. It features 27 miles of shoreline, 19 of which are sandy beaches with eight locations designated as swimming areas. Enjoy boating, swimming, fishing for spotted bay bass and more. At 7,000 square feet, Mission Bay Sportcenter is the largest public water sports facility in San Diego. Perfect for family fun, visitors can sail, kayak, Jet Ski, paddleboard and water jetboard. Classes, equipment rentals, tours and charters are available. Mention Bluewater and get 15% off a tour or charter. Use promo code BLUEWATER to book online. With locations in La Jolla and Coronado, Bike & Kayak Tours offers kayak, stand-up paddleboard and snorkel tours as well as bike tours. Rent all the equipment and safety gear you need for your adventure on the water. La Jolla Kayak offers gear rentals and tours for kayaking, snorkeling, stand-up paddleboarding, surfing, and boogie boarding. Tour La Jolla caves by kayak or snorkel La Jolla Cove to discover fascinating sea creatures. Learning how to sail is fun and easy with Sail San Diego. Up to four students can join the crew aboard a 40-ft Catalina sailboat for a 3-hour session filled with hands-on knowledge and instruction. With San Diego Sailing Tours, try your hand manning the ropes aboard a classic sailing yacht or simply relax on a 2 or 3-hour excursion out on the bay.